A good headset is key to a good gaming session. Here are the best available. If you thought looks were everything, you must have heard it wrong. Until you’ve experienced a great gaming headset, you won’t understand the ceiling for immersive gameplay, and there's no turning back once you've found the one. Whether you’re a gaming audiophile with money to burn, or a gamer who’s already burnt all their money on a god-tier graphics card, we’ve got you (and your ears) covered, with our list of the best gaming headsets of this year. For more background information on gaming headsets, see our comparison table and buying advice below the picks. What We Like: Amazing comfort, incredible sound, great value-for-money. What We Don't: The microphone can be tricky to position. At the top of our list is the incredible HyperX Cloud Revolver S. When choosing a best-overall headset, we sought out one with the best blend of sound quality, build quality, and feature inclusions, all at a reasonable price. After mulling it all over, the Revolver S came out on top, and it's no wonder why. This aptly named headset is an absolute weapon and, as an all-around pick, we couldn't ask for much more. With immersive sound, astounding comfort, and detailed surround sound that outshoots the SteelSeries Arctis 7s in any standoff, the Revolver S certainly deserves a spot in any gamer's arsenal. The soundstage of the Revolver S is bright and clean, making it and makes it easy to pinpoint the sounds of in-game elements. With three preset EQs and flexible connection options, this headset offers a lot of versatility for gamers of all tastes. Sure, the headset can feel a bit large and tricky to adjust, but once you're strapped in, we guarantee you're going to be comfortable for hours. The only drawback we couldn't overcome when testing was the fact that the microphone can be a bit tricky to position. This small annoyance wan't a dealbreaker, but something to keep in mind. 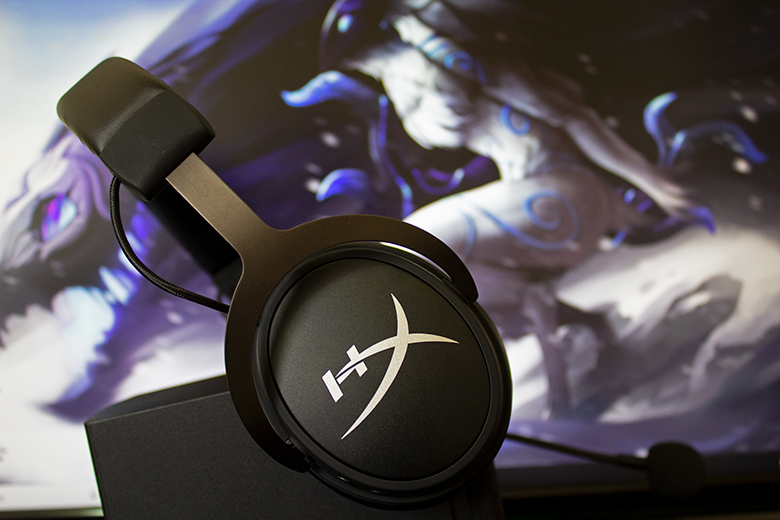 Regardless, we give the HyperX Cloud Revolver S our gold star for gaming headsets. What We Like: Great sound, awesome comfort, nice design. What We Don’t: Requires tinkering to maximize sound. The SteelSeries Arctis 7s are the best wireless gaming headphones on the market. This 2019 model improves on the previous and well-loved version of the 7s, and combines everything we want in a gaming headset at a great price. With a solid construction that employs a comfortable head strap and plush earcups, the Arctis 7s have that lightweight-but-quality feel we look for in a headset. The Arctis 7s' soundstage is surprisingly clean and natural, a quality lauded in high-end headphones everywhere. The bass was a bit weaker than we would have liked, but the detail was great overall. We also loved the EQ customization we were able to pull off with the SteelSeries software. The surround sound was weaker than the Revolver S, but the Arctis 7s still pack an immersive, directional punch that kept us listening for hours at a time. With both 3.5mm and wireless connection options, this headset has the flexibility that we require for a top pick, and its retractable microphone gave our voices a hearty sound that impressed us. For a mid-priced wireless gaming headset, we have to say the mic's sound quality is top tier. If you're looking for a set of wireless cans with great sound, a solid and comfortable build and some nice added features, we definitely recommend spending your out-of-game silver on our silver-medal pickup. What We Like: Amazing value for the price, prioritizes simplicity. What We Don’t: No USB connection. The Corsair HS50s are a gamer-focused budget headset that look and feel way out of their price range. Delivering a sound that surprised everyone at the office, the HS50s earned their top spot without much deliberation. We couldn't believe how these held up when tested against the slew of $100-plus headphones in our roster. Their soundstage is bright and balanced and provided excellent in-game details during our Fortnite tests. The 3.5mm connection allowed us to test on our smartphones and Switches, as well as gaming rigs, and we have to say we were all impressed by how these cans handled music and movies. With all this heavy tech, the HS50s employed a rugged-but-light design that produces a strong and comfortable build. Their clamping pressure was low, and the big cups kept our ears from overheating. Our main issue with the headset is the fact it's restricted to a 3.5mm analog connection. Everything that Corsair chose to include in this model was executed at an extremely high level, and we're glad they kept the price low by avoiding packing in unnecessary features. What all this means is the HS50s are an incredible budget buy. They sound awesome, are a pleasure to wear, and avoid all the gimmicks that raise the price of gaming accessories. If you're looking for the best for the least, and aren't planning on going pro, these are the cans for you. What We Like: Amazing sound, design, build quality, and features. What We Don't: Overly complicated controls. The AUDEZE Mobius are truly a next-level set of cans. 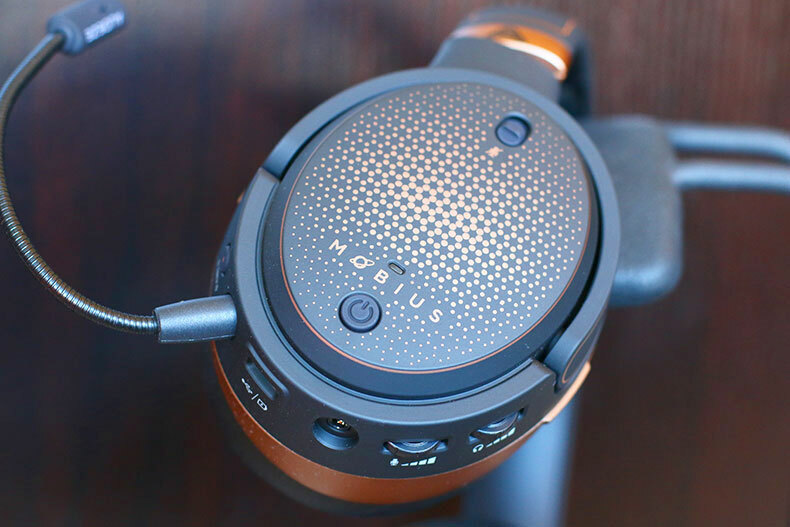 With their planar magnetic drivers—normally only found in high-end headphones—the Mobius produces a smooth, breezy and wide sound. With a mic that surpasses the Arctis Pro, and a solid, quality build that laughs at Logitech's inferior G933s, it's hard to not give this the top spot. If all this praise is making your head spin, don't worry; the Mobius also packs advanced head-tracking technology that keeps sound cues in their natural position—even when you move your head. This feature is amazing for those craving immersive gameplay, letting you track in-game elements as you look around the screen. Talk about getting a leg up in your next Fortnite build battle! Aesthetically, these headphones knock it out of the park with a perfect balance of gamer-centric design and quality construction. What we like: Amazing sound, console compatible. What We Don't: No wireless or USB connections. Let us start by saying that the Sennheiser GAME ONE is one of the best-sounding headsets on our list. The surround sound is head-and-shoulders above even the Arctis 7s and delivers one of the best overall audio experiences we've had while gaming. Now, let's talk about design. 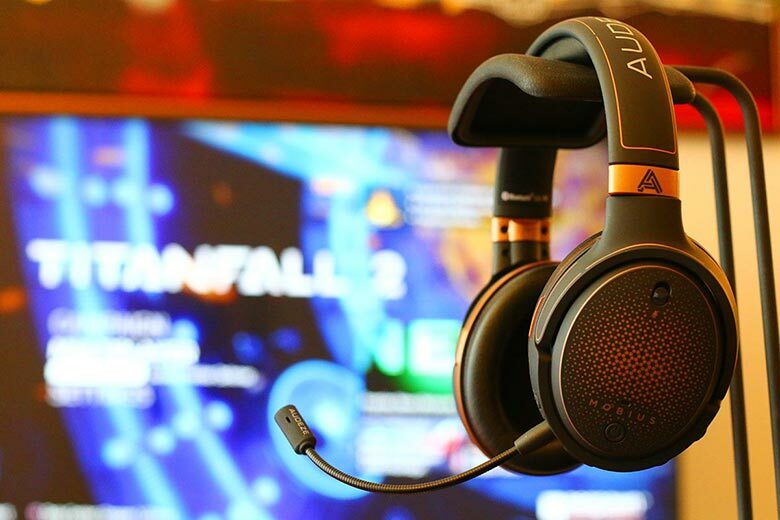 For a pro-tier gaming headset, these cans certainly look the part. We like these in black, but the white option still looks sleek with the red accents. Both versions achieve the classic gamer aesthetic without overdoing it. But looks shouldn't matter too much to a pro-gamer; it all comes down to sound, and sound is where these cans excel. The GAME ONEs are the only open-back headphones on our list and use their acoustic approach to deliver the most precise and natural sound profile in our roundup. The open-back design also makes the GAME ONEs some of the most comfortable headphones on our list, avoiding the heavy feel and overheating that some of its closed-back cousins suffer from. This is incredibly important to pro-gamers who spend hours at a time plugged in and cannot afford to be distracted by sweaty or cramped ears. 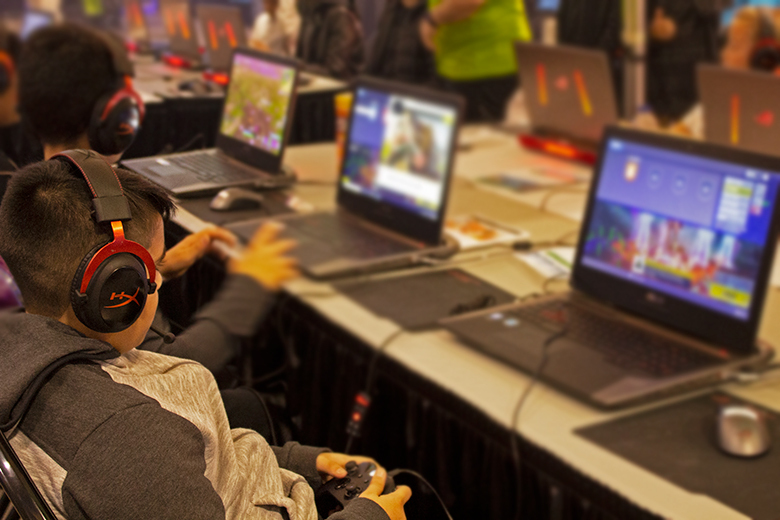 Diversity is not a weakness of the GAME ONEs, which employ a 3.5mm connection that works great on PC, Mac, PS4 and Xbox One, but we wish that they took notes from HyperX's Revolvers and included a digital USB connection. 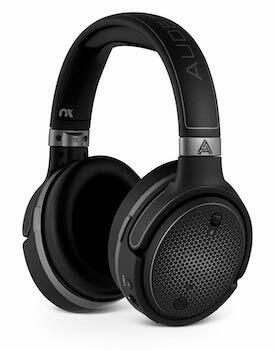 It should also be said that, while these are noise-canceling headphones, that cancelation only works one way - the people around you will be able to hear whatever sound is blasting from these beauties. If you want to avoid driving your partner or parents insane, we'd recommend opting for the closed-back version of these cans: the GAME ZEROS. But if you're looking for la crème de la crème professional gaming headphones, look no further than Sennheiser's GAME ONE. What We Like: Excellent audio detail, solid design, comfortable to wear for long periods. What We Don't: Cumbersome to fully set up. The Arctis Pro Wireless is the pinnacle of wireless gaming and would be higher on the list if it were lower in price. SteelSeries has done a tremendous job navigating the wants and needs of gamers to deliver a product that really covers every base. 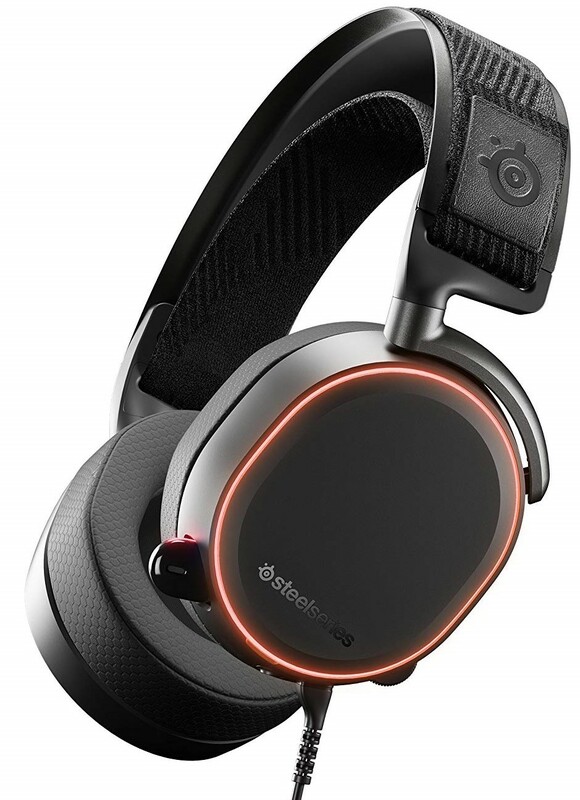 Improving on the Arctis 7 model, the Arctis Pros are SteelSeries' premium gaming headset. These are some of the most comfortable headphones we've ever tested. The Arctis Pro's soundstage sounds natural, balanced, and clear, without overcooking any elements. The virtual surround sound is executed well and can increase immersion without sacrificing any form of competitive edge. These cans are remarkably light considering what's packed into them, and still manage to feel high-quality and rugged. The Pro Wireless model also comes with two swappable batteries—take that, Arctis 7—and a transmitter base station to charge one while you play, so you never experience downtime. Apart from charging the batteries, the base station also allows you to tinker with preset and custom EQs before even touching software. It also gives you a slew of other EQ options. The Arctis Pro's retractable mic is great - just don't forget to add the wind filter - and we liked how it was executed in the design. The on-ear controls for muting, volume, and pairing were all intuitive and welcome. The only complaint we had regarding the Arctis Pro was the cumbersome desktop setup. Pairing to mobile was a breeze, but once the base and desktop were involved, things got a bit trickier. Initially, it was a bit of a pain to set everything up, but once it was finished, we were impressed. All in all, we loved the Steelseries Arctis Pro Wireless. Disclaimer: for those who just want a simple audio experience with minimal setup or tinkering, go for the wired version of this model. It will save you some of your sanity and cash. But, for those looking for a premium wireless experience, you are going to love the Arctis Pro Wireless. What We Like: Great battery life, supremely comfortable. What We Don't: Soundstage on the lighter side. From the company that brought you our best overall pick, comes the Cloud MIX! The Cloud MIX is HyperX's latest wireless foray into gaming audio. These sleek, light, and robust cans are the latest and one of the greatest additions to our roundup, and we were lucky enough to get a pair before they hit shelves. Slapping these with the "Cloud" brand makes a lot of sense because this headset is an airy fit that delivers lasting comfort. Speaking of airy, setting up the Bluetooth connection was a breeze, and the added 3.5mm split audio and microphone connection make this model even more versatile. The battery pushes around 20 hours of continuous use and charged quickly. Another thing HyperX nailed on this design is the styling. These cans are crafted with gimmick-less taste. There's no harsh branding or gaudy LED lights—we're looking at you, Razer. Now, let's get to the sound: the surround sound is impressive, and shines with balanced mids and highs. The lows are a bit less robust than we usually like, but still allowed for a great in-game experience. The boom microphone is great and easier to position than even the SteelSeries Arctis Pro, and is fully detachable for your IRL grocery store raids, making way for the built-in mic to shine. There's not much to say in the way of negatives on this purchase, except we wish the richness of the audio fit more closely to the price. 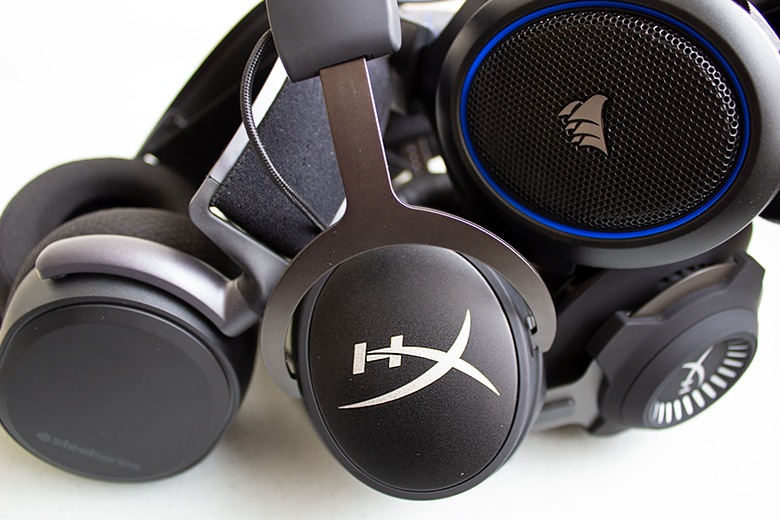 Regardless, these are a crazy-good addition to the HyperX arsenal, and are a great pickup for anyone looking for a sleek and versatile set of cans for at home or on the go. What We Like: Comfortable, great value, great sound. What We Don't: Build quality felt cheap for the price. Next up, we have a sublime pair of Logitechs. 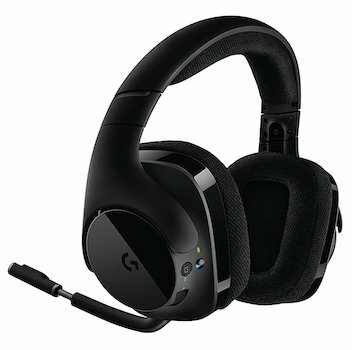 The G933 Star Wars-esque headset come in what we at TMS dubbed Death Star black or Storm Trooper white, and both look pretty menacing. Large earcups, a plush headband, and a light fit combine to ensure that they feel as good as they look. But what sold us on this model wasn't in what we felt, it was in what we heard. And it seemed like we heard everything. With a super punchy soundstage, the G933s delivered an incredible sound with outstanding in-game precision. 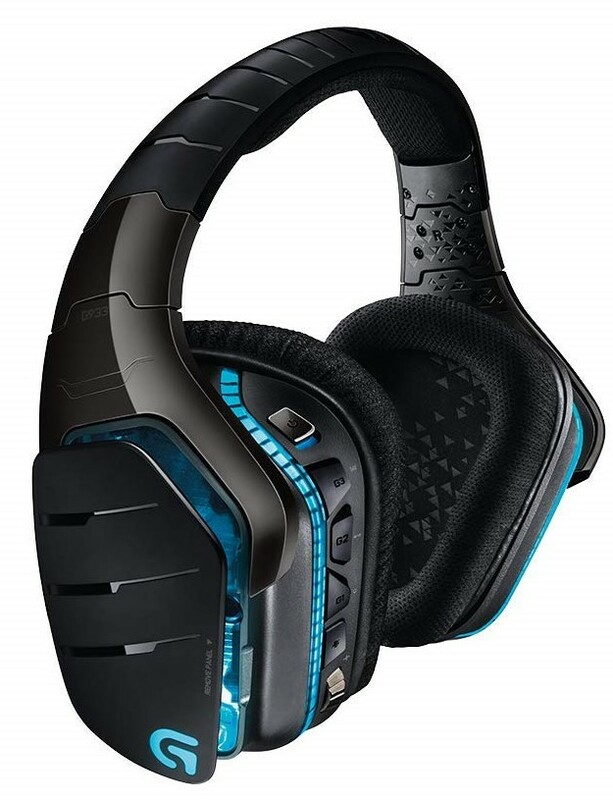 These are some of the better headphones for sound tracking, and gave us a noticeable edge in first-person shooters. The Logitech software was excellent, and we enjoyed the customizable EQ and surround sound. The foldable mic also sounded great and compares favorably to the Sennheiser GAME ONEs. The G933s would have been even higher up on our list if they felt as good in our hands as they did on our heads. This headset just missed the mark on build quality. They don't necessarily feel cheap, but the plastic did have a modicum of squeak when we flexed them—we would be wary moving these around and taking them on and off. But build alone couldn't detract from all the important things the Artemis got right. If you're trying to play Fortnite like Ninja, with ninja-like reflexes, these are a great option. What We Like: Amazing sound quality, comfortable, top build quality, smart shutoff. What We Don’t: High price point, muddy mic. Astro makes its way into the top ten on our list on the back of versatility and amazing sound quality. We were pumped to hear how immersive the A50s' audio was. The ability to switch between "studio"—which produces a better EQ for movies and music— and "pro" mode—which makes things like in-game footsteps far more distinguishable— gave this model a real edge. Though this model is made from plastic, the A50s have a great build quality that feels far from cheap. And while they're expensive, their overall value is quite high. These cans even come with a new dock/wireless transmitter, which doubles as a wireless charger. We felt like the battery held up well through our testing, and we were comfortable throughout. We also liked that these were easy to use with our PS4. We'd have Astro's higher on our list, had the mic been more on-par with the rest of the A50's features, but we found the mic sounded over-compressed, and we definitely preferred the Arctis 7's and Cloud MIX's. That said, we'd still recommend these to anyone who cares less about how they sound and more about what they hear. What We Like: Unique and immersive experience. What We Don't: Over-priced gimmicky features. With hundreds of gaming headsets on the market, it's easy to sleep on some models. And while we might have dozed on Razer's Nari Ultimates, boy did they wake us up. It's not often you hear the word "haptic" used to describe audio gear, and when we saw that Razer had included haptic tech to their Nari Ultimates, we thought they might have been reading too much Ready Player One. But when we finally got around to trying these monsters out, we were pleasantly surprised. Let's talk sound: the Nari's 50mm drivers pump some pretty decent volume. Their soundstage is well balanced—if not the clearest we've heard— and we'd rate it slightly below the Arctis 7s'. But for once, it's not all about what we heard, it's about what we felt. The haptic feature on these cans is no joke. When wearing the Nari Ultimates, you can legitimately feel the sounds in your games. If you've ever tried the Skullcandy Crushers, it's quite similar, with the low-end vibrating on your ears. This seems like a bit of a gimmick, but the Ultimates deliver a gaming experience that's both fun and unique. We also have to laud the build and comfort of the Ultimates. Sure, they seem a bit clunky and heavy, and you can surely feel that weight when they're shaking on your head, but they're comfortable and well-built. While we think the Nari Ultimates are executed well, we aren't going to recommend these too highly, because you're paying more for headphones that don't sound quite as good as cheaper models. That said, your money is going towards some pretty cool features, and if you want a unique and immersive experience, you can't go wrong with the Razer Nari Ultimates. What We Like: Elegant styling, great mic. What We Don't: Slightly scratchy feel. Logitech makes another appearance on our list with their G533s, which we think are some of the best wireless headphones on the market. What we can only describe as a stripped-down version of their G933 model, the G533s are a wireless option that looks and sounds elegant. The styling on these is sleek and simple, if a bit bulky. Their soundstage is impressive, and in classic Logitech style, balanced and nuanced. We absolutely loved the microphone - it has a low-profile and sounds great, using the micro-pop filter to produce an even tone. The surround sound is also a hit, and using Logitech's incredible software, you can really nail down the perfect configuration. We don't have much in the way of negatives for this headset, other than we wish the materials used on the earcups was a bit higher quality. We felt a modicum of discomfort when testing our model. Out of the box, they felt a bit stiff and scratchy, but we're willing to bet they'll be more comfortable after breaking in. Either way, these are still a great buy. If you're looking for understated design and quality sound, look no further than the incredible Logitech G533s. What We Like: Build quality, sound quality, value-for-money. What We Don't: No included software. You can tell HyperX meant business with their Cloud Alpha headset. This headset is premium, and with its lightweight aluminium frame and gamer-centric design, it's got serious gamers in its sights. Sound-wise, the Alphas pack a punch. The closed-back design does a great job at isolating external noise, while the 50mm drivers take care of the rest. Almost on par with the SteelSeries Arctis Pro in terms of out-of-the-box sound, no other mid-range headset creates the same clarity amongst the higher frequencies as the Cloud Alphas. Slight bass and mid boosts, coupled with a lack of software, points to the Alpha's focus on gaming audio, but music and movies still sounded decent. The detachable mic is a nice touch and provides great voice quality, managing not to sound too grainy or compressed. Overall, this is a premium culmination of the things most gamers are looking for: tight audio, a strong build, and great mic. The only complaint that we had about the Cloud Alpha was the comfort of the earcups. We were surprised that this was an issue, but after long periods of testing, removing these cans felt like a breath of fresh air, and that's something we're always skeptical of. The clamping force of the headphones can exacerbate the issue—so if you have an XL head, we'd recommend you look towards something a little more comfortable, like the Cloud Revolver S.
What We Like: Decent bass response, extremely comfortable. What We Don't: Pricey, annoying cable. Audio-Technica's ATH-AG1x may be a mouthful to pronounce, but that's okay because they are jaw dropping. Aesthetically, they're beautifully designed and when it comes down to build, they prove to be well engineered. Their higher price is definitely reflected in their design, but we all know it's the audio that really speaks to us. And damn, does it sound good. With their crisp handling of highs and mids, and a resonating low end, these headphones did nothing but impress. 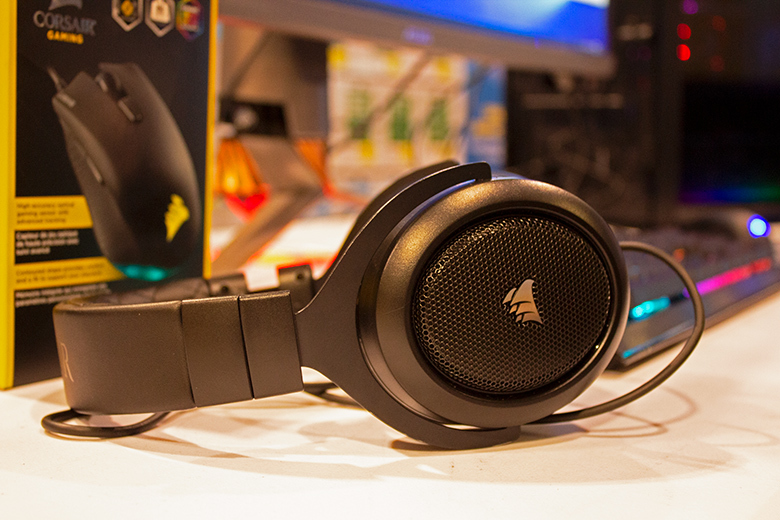 They sounded much better than even some of our higher picks, like the Logitech G933 Artemis Spectrum. And that's before we mentioned what put these headphones on our list: comfort. This pair is one of the most comfortable gaming headsets we've ever worn; their wing support system reminded us of our top pick, the HyperX Cloud Revolvers, but felt even lighter over long periods of use. The ATH-AG1xs are truly something special, and it hurts putting them this far down our list. However, a few things kept them from securing a top spot. First, the connection options were lackluster for the price. The 3.5mm connection is great, but in this price range, we'd like a little more selection - especially compared to what AUDEZE did with the Mobius. Not to mention the controls on the cable. As seen with HyperX's Revolvers, having the volume and mute controls on the cable is a great feature, but the ATH-AG1x seemed prone to accidental changes, and more than once we bumped the volume to max and blasted our ears off during testing. All in all, these are small issues that shouldn't detract too much from a great headset, but when you're spending a premium, we'd rather pay $20 more for the SteelSeries Pros Wireless and avoid them altogether. What We Like: Fantastic comfort, brilliant software, great value. What We Don’t: Conflicting design, Windows 10 issue. The Sound BlasterX H7 Tournament Edition is Creative's flagship gaming headset, and although the high contrast colorway might steer some off course, what's going on below deck will leave competitors with a sinking feeling. With its upgraded 50mm full-spectrum drivers, the Sound BlasterX H7 sounds amazing. It might not handle mids and highs quite as well as the Sennheiser GAME ONEs, but delivering what it does at a portion of the price makes that an easy compromise to live with. We found the microphone was decent and, in testing, was just shy of the quality of the Arctis 7s. Looks-wise, the black, brushed metal cups really compliment the gun metal arms. However, we wish Creative had reduced the aggressive styling of their X logo, which when coupled with the unnecessary lights, gives the headset a chintzy appearance that doesn't suit its performance. That said, the headset is adequately comfy, lightweight, and importantly durable. The BlasterX software impressed us and—while we didn't love all the included presets—the ability to completely customize the EQ settings was included. What more could we really ask for? 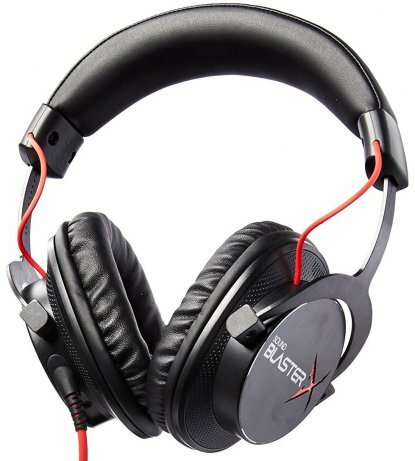 The Creative Sound BlasterX H7 Tournament Edition is a great mid-range headset, that didn't quite pass our aesthetic test, but holds up well overall. What We Like: Quality mic, strong wireless signal, user friendly software. What We Don’t: Suspect build quality. With a decent mic, one of the strongest wireless signals in its price range, and a rich default audio, the Razer MANO'WARs really stand out. Sure, the retractable mic doesn't sound as good as the SteelSeries Arctis Pro, but it's still solid and easy to position. The headset is noticeably comfortable, thanks to its huge leatherette earcups. However, more cushion seemed to lead to more pushing, and after extended testing sessions, the plush leatherette cups had our ears hot and bothered—which is something the Cloud MIX and Arctis 7s managed to avoid at this price point. The Razer Synapse software—with it's familiar presets— felt intuitive to us Razer vets, and made it easy to sculpt the sound we were looking for. The build felt surprisingly light for its chunky design, which started to concern us when we realized how much flex there was in the frame. Overall, we have to say that this model lacked the solid feel that the Logitech Artemis Spectrum had, and we wish that Razer had swapped the RGB lighting out for a more durable build. Still, if you're careful with your tech and don't mind a chunkier build, the MANO'WAR could be the headset for you. What We Like: Decent in-game sound quality. What We Don’t: Limited EQ options. 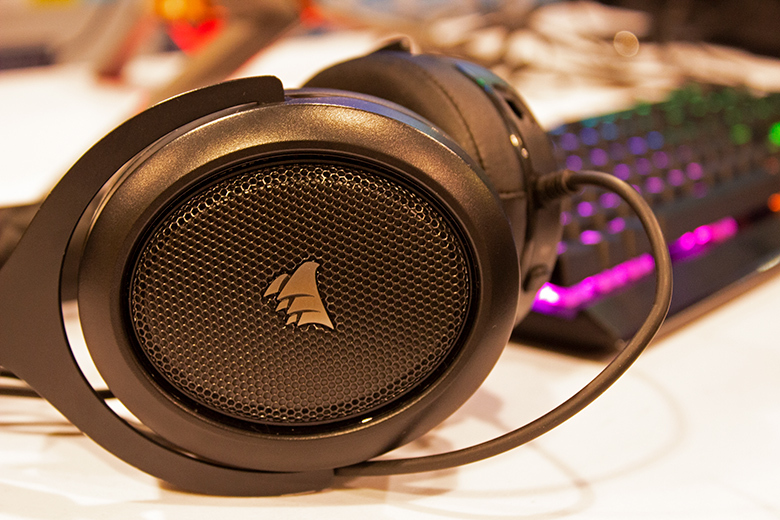 The design of the Corsair Void PRO Wireless is an acquired taste, and part of the reason it's this far down our list is because we're still trying to acquire that taste. The outer shell feels deceivingly fragile and cheap, but actually hides a strong metallic subframe that delivers the Void's undeniable durability. Given its lower price point, we can forgive a slightly cheaper feel, so long as the audio is on-point. Which it is. The sound produced by the Void PROs is excellent for games, movies, and music. Our only gripe is that the soundstage on the media end can feel narrow at times, and it doesn't help that the EQ options in the software suite are limited. Inside Corsairs Utility Engine (CUE) you also have access to the virtual 7.1 surround settings, which work well but can cause sound to become muddled—hampering your directional awareness when gaming. In our opinion, stereo is where it's at for the Void PRO Wireless, and when talking sub-$100 stereo, we're always going to recommend the Corsair HS50s. One gimmick that will make some happy is that, if you have multiple Corsair RGB products, you can set them up to alternate colors simultaneously. 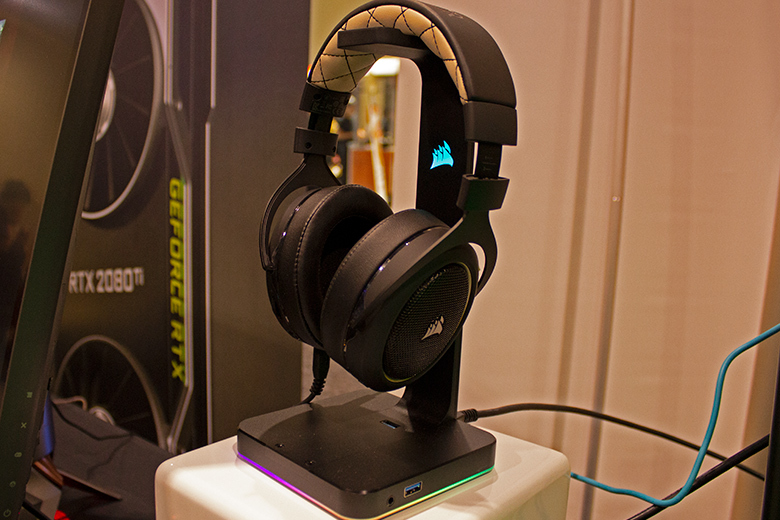 The only victim of your setup's impromptu rave will be the Void PRO Wireless' battery, which isn't great. If you absolutely can't deal with a wire, we recommend that you spend a bit more and nab the SteelSeries Arctis 7s. What We Like: Great audio quality, considerate design, comfortable. What We Don't: Poor value. Turtle Beach's Elite Pro headset is one of the most comfortable on our list, beating out even the Astro A50s. 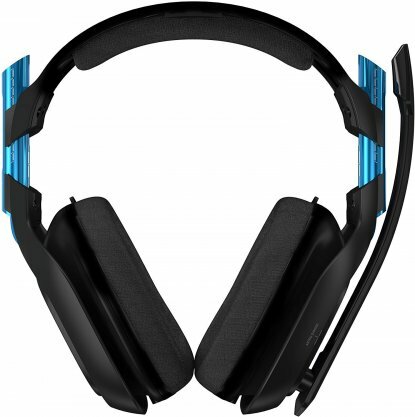 This gamer-grade headset brags a ComforTec system, which allows adjustment of headband tension as well as earcup position. Another great feature, for those of us who wear glasses, is the "glasses relief system" included in a headset. This system allowed us to create a small channel in the earcups for the arms of our glasses to sit in. It seems small, but it really is genius! Lauding comfort is always easy - when it's right, it's right - but what about the sound? The Elite Pros pack a sound quality similar to the Arctis 7s, which is pretty good. The Elite Pros soundstage is full and rich, but punchy and crisp enough to pick out individual footsteps and gunfire in the heat of battle. Music sounds decent, but unlike the Arctis 7s, without a flat EQ profile available, it was slightly muddied by the bass. Where this headset falls short is with its requirement for the Tactical Audio Controller (sold separately) to get to the EQ presets. It costs an extra $150, which in our opinion is ludicrous. On top of that, the microphone is average at best. A real shame as the headset is amazing otherwise. If it afforded the EQ preset options and a better mic, it could easily be in our top five. But for now, it's rounding down our roundup. Taking a note from AUDEZE's Mobius—which we loved - HyperX is releasing a high-end headset that sports positional 3D sound: the HyperX Cloud Orbit X. For roughly $300, you'll be able to get a set of cans with 100mm planar magnetic drivers that use advance tech to keep their sound positioned in relation to your movements. Based off what HyperX has done in the last few years, we know these headphones will sound great and can't wait to get our hands on them. Lenovo is planning on blessing us with two new headsets - the Legion H300 and H500 - slated to drop soon. Both headsets will contain 50mm drivers and are rumoured to be noise-canceling. The primary difference between the two sets of cans is that the Legion H300 is a stereo gaming headset while the Legion H500 Pro boasts 7.1 surround sound. Both look slick and rugged, with steel frames and floating headbands similar to the HyperX Revolver S. And each comes with a retractable microphone akin to the SteelSeries Arctis 7 and Pro models. For connections, both rock a 3.5mm, but the H500 also boasts a USB connection that allows for its digital surround sound functionality. We'll be sure to report back once we've heard them. 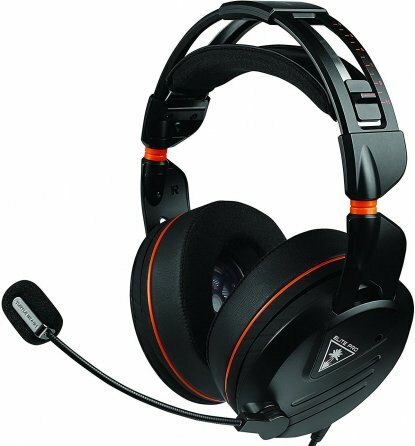 What Should I Look For When Buying a Gaming Headset? Our first consideration when choosing any headset is, and will always be, sound quality. Why upgrade if not to squeeze better quality audio out of your device? Our second consideration is value-for-money. We always want to make sure you are getting a premium audio experience at a price you can afford. Overall build quality also plays a part in our choices. If we’re going to invest our hard-earned dollars into something, we expect a lasting return. Our headsets have to be comfortable too. The dream of gaming for hours on end in the comfort of our own homes can only be realized if we're comfortable. Our final considerations are about additional features the headset provides. This could be Bluetooth connectivity, so you can choose to ignore calls mid-game, or charging wireless headsets whilst in use, or customizable EQ options. Our Buying Advice below will help you tell your Dolby 7.1 from your DTS:X - so be sure to check that out for the full scoop. Finding the perfect gaming headset can be tricky. There's so much jargon separating you from knowing which set of cans are the right fit—literally. We have taken some time to try and distill that jargon into a few key details that you can use to find headphones that match your needs. The three most important factors when judging headphones are: sound quality, comfort, and price. Sound Quality: The most important consideration when buying any audio gear is sound quality. If a headset doesn't sound great, there's no point in spending money on it. The good news is that, in 2019, you can get amazing sounding headphones even on a budget. Sure, there are some best-sellers that we think are way overpriced for the experience they provide—we're looking at you, Beats. But the question remains: what qualifies as 'good' sound? Some people like brain-rattling, bass-heavy drivers, while others prefer a more balanced audio-experience. If you're dead-set on a specific profile, or want to have the ability to experiment, we'd recommend choosing a headset that comes with EQ software that lets you manipulate the sound to your taste. The best headset for sound quality on our list is the incredible AUDEZE Mobius, which retails for $399. Comfort: This detail is not one to overlook. You're going to spend a lot time with whatever pair of headphones you pick up. They'll take you across vast wastelands, through grueling boss battles, season finales, and album releases. You'll want to be there to experience everything, and won't want to be distracted by pinched ears, pressure headaches, or a cramped neck. It's important to take into consideration both the cups and the weight of your dream pair, and make sure—above all else—you are happy wearing your headset for hours of uninterrupted sound. Fortunately, most modern gaming headsets are designed understanding this and are reasonably comfortable in a variety of price ranges. We've tested literally hundreds of headphones at TMS and will be brutally honest if we think a pair of headphones isn't comfortable enough for our readers. Our favorite comfort pick? 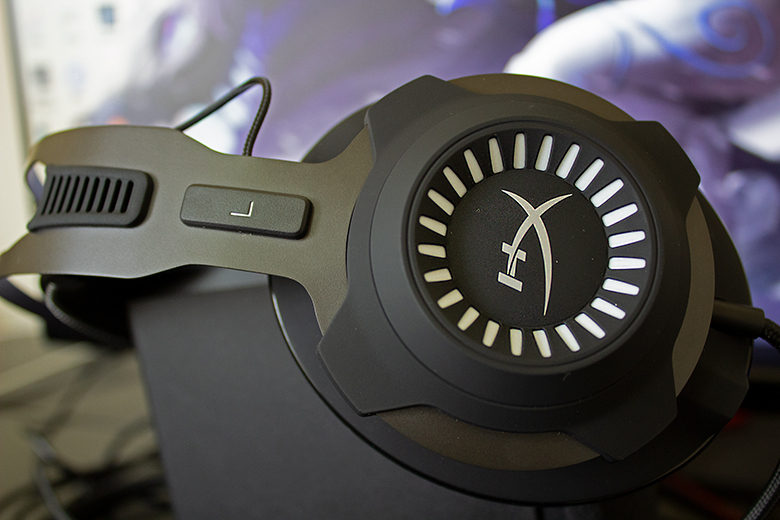 The $150 HyperX Cloud Revolver S, which is top of our list. Price: Just ask yourself, what's my budget? If it's lower, ask yourself what you value most in a headset and when reading through our recommendations, make note of the ones that excel in that category. Also ask yourself: what features are other companies offering in the same price range? Make sure you're paying attention to the reputation headphone companies have in regard to service and returns. While we try to be sure that our recommendations are enough information, the best way to buy headphones is to test them out yourself. Some companies/retailers have better return policies and you might want to try those out when experimenting. We talk a lot about value in our articles—it's something that's important to us. If we wouldn't spend our money on it, we won't recommend you do either. So, if it comes to price and you're unsure, let us guide you. 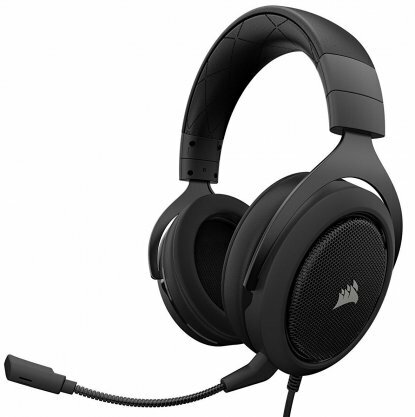 We have plenty of affordable recommendations, like our best budget pick: the Corsair HS50s. The HS50s retail for a mere $50, at the time of writing. There is a major division of headsets: stereo and surround sound. This spec might seem like one of the easiest to compare when looking at gaming headphones, but be warned: surround sound might not mean exactly what you think it does. In a stereo headset, sound is delivered through two channels via two drivers (or speakers)—one in the left cup and one in the right. Surround sound, which in gaming headsets is almost always 7.1, refers to a setup in which sound is delivered through seven drivers and a subwoofer. Packing all those drivers into a headset isn't always possible or affordable, so most surround sound headsets are really just stereo drivers boosted with software that only replicates the experience of true surround sound. This is why most headsets bury the term "virtual surround sound". All the surround sound headphones on our list are using virtual surround sound technology, typically enabled by Dolby Virtual 7.1 or DTS Headphone:X surround sound. Another factor that's important when understanding surround sound is size. Not only the size of the actual drivers delivering the sound, but the space within the headset's physical earcup. This size is what allows sound to disperse proportionately to create the intended sound. This is where you need to be careful, because some headsets do it much better than others. Often, this is dictated by price. To be totally transparent, surround sound is kind of gimmicky in headsets. 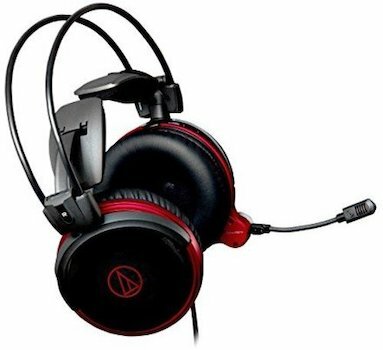 Although it's enjoyable for single-player games or action movies, for any online or competitive play, you'll probably want to use stereo headphones. They make it easier to distinguish sounds in a space as confined as earcups. That said, we've highlighted the surround sound achievers in our list. So, if you're unsure, be sure to check those out. And if you want a more music-focused pair of headphones, check out our list of the best headphones of this year. As we've already mentioned, the speakers inside your headset are called drivers. The most common method of comparing drivers is by size in millimeters (mm). The average size of a driver in a gaming headset is 40mm. Some use 50mm, some 30mm, and true surround sound headsets even use 20mm as rear left/right additions. It's important to note that a larger driver does not mean a louder or higher quality sound. Sure, larger drivers have been known to produce lower bass frequencies, but the quality of the driver is more important than size. There are other factors at play when determining the quality of a driver: the mass, what materials are used, how it's been tuned, and the size of the enclosure (earcup) that it's placed in. This information isn't always readily available for each headset, but we maintain that bigger does not equal better, and recommend paying attention to your spec sheet. Companies like SteelSeries often use the same drivers across multiple headsets, despite the price tag. 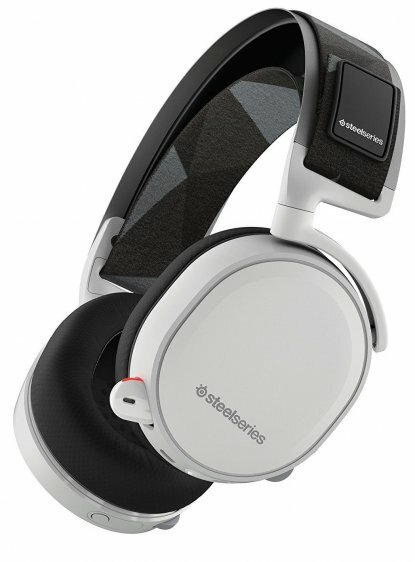 A good example would be the $150 SteelSeries Arctis 7, which uses S1 drivers, also found in their more premium models selling for double the price. The most common types of connections for gaming headsets are 3.5mm, USB, and wireless, but the odd time you'll also see optical connections. Let's break them down. 3.5mm connections are the round ports found, not only PCs, but also on many cell phones, tablets, T.Vs, car stereos, and pretty much anything else that emits sound—think of the coveted auxiliary cord in the Uber. There are two major benefits to using a headset with a 3.5mm connection. First, you can use it on almost any device. For instance, the HyperX Cloud Alpha is an average-sounding headset at an entry level price of $100, but because it can be connected to more devices than can conceivably be owned by one person, it makes the pick a bit stronger. Another advantage of the 3.5mm connection being used on PC's is that only audio devices use 3.5mm connections - so you should always have room to connect. Imagine your setup is running low on available USB ports: using a headset with a 3.5mm connection could free up a USB port for that RGB mousepad you've always wanted. One disadvantage to buying a headset that uses a 3.5mm connection is the potential for quality differences. If either your headset or the connected device isn't up to snuff, you can be left hearing degraded sound and even dreaded feedback hum. Believe it or not, a $500 pair of cans can still sound cheap when played through a poorly-built MP3 player's 3.5mm connection. USB connections can offer a huge sound advantage because their connection is completely digital. So, unless you manage to physically damage your USB port, your signal should be spot on. A downside you should be aware of when thinking of going the USB connector route is the fact that not every device has a USB port, or if it does, it might not support audio output. For example, there's no USB port on your phone or tablet, and most TVs don't support audio output. 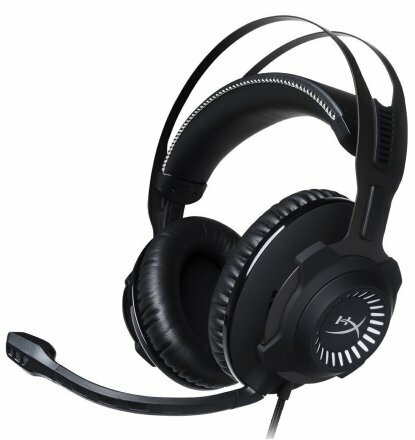 This seriously limits the potential value of headsets like the Corsair Void PRO Wireless, which is an amazing headset but can only be used at your computer. 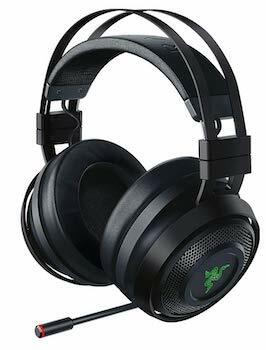 You should also note that a lot of headsets with both 3.5mm and USB connections require the USB connection to deliver 7.1 surround sound. Optical connections, are digital connections that come with similar benefits. Unlike USB, they are designed for audio-use only - meaning, if you have one on a device, chances are it will be free to use. That if, is pretty big though, because unless you have an expensive motherboard or an upgraded soundcard, it's unlikely your device will even have an optical connection. The most likely place to find them is on modern TVs or gaming consoles. This is due to the popularity of TV surround sound systems and gaming headsets on consoles. This is why the Astro A50s are such a versatile choice. Although expensive, they have USB and Optical connectivity, meaning they can be used on a vast majority of devices around the home. There are also wireless connections, like Bluetooth and Wi-Fi. A headset will typically indicate which band it sits on, if it has the latter - the most common is 2.4GHz (don't stress if this sounds technical; connecting them to your PC is fairly straightforward). It's even easier if you have Bluetooth - all you have to do is pair the computer and the headset, and you're good. If you want to find out more about the intricacies of Bluetooth, check out our list of the best wireless speakers. To no one's surprise, not all the mics found on gaming headsets are created equal. While it might seem unimportant to most gamers, who only care about what they're hearing, having a quality microphone can make a huge difference. We've all muted those teammates with the hot mics or the Darth Vader feedback. If you're playing a team-based game, you can improve everyone's experience by having a decent mic. The majority of gaming headset mics are unidirectional, meaning the pickup pattern only accepts sound from a single direction, usually in the front. This is mostly a good thing, as your friends on the other end don't want to hear your partner asking why you didn't replace the garbage bag. But unidirectional isn't necessarily the best way to convey your voice. Surprisingly, a good bi-directional mic, like the $329 SteelSeries Arctis Pro Wireless which picks up noise from the front and back, actually works better. Working in a figure eight, the pick-up has a tight front and back pattern that rejects noise from the sides and anything further than eight inches away. This creates something called the proximity effect, a natural frequency boost across the low-end, resulting in a richness that unidirectional tech lacks. It also helps with the noise-canceling effect, as only acoustic sources close to the mic receive the Proximity Effect. And don't be confused, audio nerds: the proximity effect might be a negative thing for music recording, but for boosting your mic volume during a game, this is good to have. Any gaming headset that says it's noise-canceling usually means bi-directional. True noise-canceling microphones, or active noise-canceling microphones, are referring to technology that requires additional power, circuitry, processing, and considerably higher price tags than anything in our list. Ah, the age-old question you've probably never asked yourself: open or closed? The open/closed back refers to whether a headset's design keeps sound isolated within the cups or allows it to interact with the air. Closed-back headphones restrict external noise entering and internal noise leaving your headset. The main benefit of this for gamers is increased immersion, as you're unlikely to hear any external noises which could distract you from your game. Another benefit for any late-night gamers out there, is that closed-back cans can help keep sound contained, so you won't disturb anyone in your house at 4am when you declare war on an enemy clan. A couple of potential downsides with the closed-back design are comfort and sound quality. 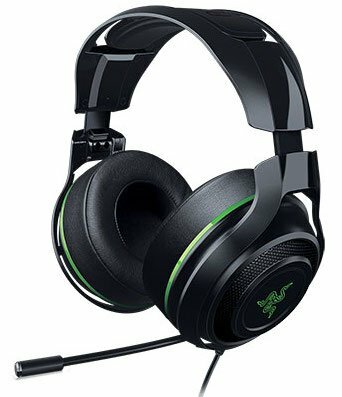 Due to the lack of airflow in and out of the headset, closed-back - especially leather coated - headsets can get sweaty, which is never comfortable. More importantly, because noise is trapped inside the headset, it can sometimes create an unnatural sounding or bottled-up audio. This is entirely subjective, so it's definitely worth checking out yourself. 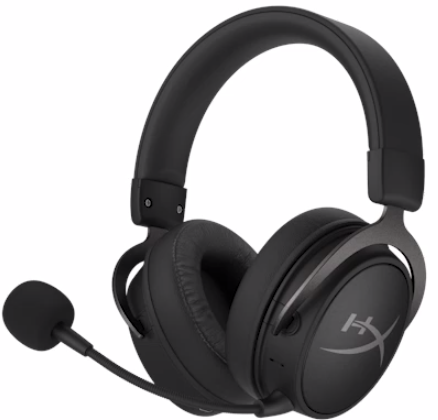 The best closed-back headset on our list is the HyperX Cloud Revolver S, at $150. Open-back headsets come with the opposite pros and cons. You'll be able to hear most external noises and, if you have the volume cranked too loud, anyone in the house will hear whatever it is your listening to as well. 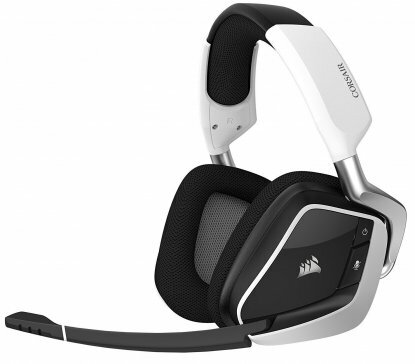 Open-back headsets are generally more comfortable, as they ventilate and sound tends to come across more naturally. Personally, we prefer open-back, due to comfort and sound quality - however, these pros and cons vary significantly across different models. 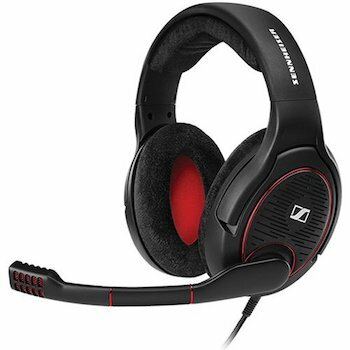 One excellent open-back model is the Sennheiser GAME ONE. You should also be aware that just because some headsets look open-back, doesn't mean they are; just because it has a grille doesn't mean it's open. Great headsets boast great sound by offering flexibility. Most of the best headsets on our list come with some sort of equalization (EQ) option, like the $329 SteelSeries Arctis Pro Wireless. EQ is your headset's companion software that allows you to alter its sound profile to match your tastes. Sometimes, this customization is limited to presets - pre-programed sound profiles like "bass boost" or "podcast" that gamers can cycle through. As we discussed earlier, people like different types of sound. So, a bass boost preset for one person may not be to the taste of another. Using your gaming headset's customizable EQ option allows you to manually adjust specific frequency ranges to achieve different types of sound. This can sound and even look daunting the first time you see an EQ graph. However, if you remember that there's only three main areas to alter (bass, mid, and treble) things will go better for you. Each section will only have an increase or decrease option available, and it can be as simple or complicated as you want it to be. Our recommendation is to fiddle around until you find an EQ you fall in love with. Another term you’ll see accompanied by a smattering of numbers is sensitivity or SPL (sound pressure level). 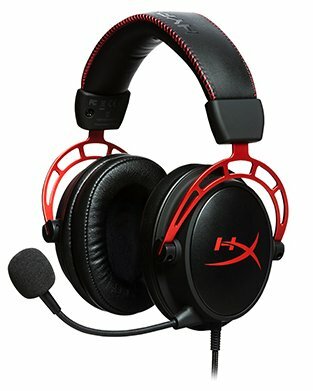 Essentially, this is a measurement of how loud a headset will produce sound at a particular power level - the highest SPL rating on this list is the $120 Creative Sound BlasterX H7 Tournament Edition. However, it’s worth taking this spec with a pinch of salt. Due to variance in power sources (amps, interfaces etc.) the measurement of sensitivity is not always a true representation of how loud the headset will sound for you. Also, as sensitivity is measured in decibels per miliwatt and power from your PC - as well as every other electrical device on the planet - is delivered in volts, the methods used by companies to arrive at their value of sensitivity can be inconsistent. Which doesn’t really help anyone in deciding whether a particular headset is right for them. At this point we’d like to give you the best piece of advice out there surrounding headsets: test them in person. Order some online and, if you’re not happy with them, swap them for another set. As we mentioned before, be sure to check the refund/exchange policy of individual manufacturers. Alternatively, you can always test headsets in-store at multiple retailers. Whether you need a pair of low-profile desk speakers for everyday use, or a massive 5.1 surround sound setup for some serious dungeon crawling, you've come to the right place. No matter what your speaker needs may be, below you'll find the perfect setup. Voice assistants can read you your appointments, tell really bad jokes, and take full control of your music. They come packed inside some great speakers, and to help you pick the right one, we've put together a list of the best of this year.